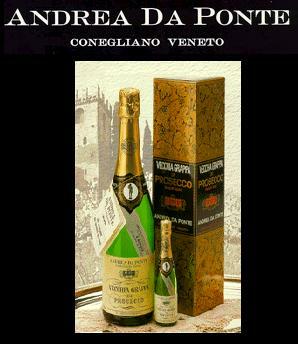 Need a gift for an Italophile friend? A hyphenated Italian friend? Or a film to watch over the holidays with the family? This wonderful film has great reviews at Amazon, as you can read if you click the link below, and great actors. It's considered a hyphenated Italian's secret classic. Much of the film takes place around Christmas time so it makes a fun holiday movie for the family. Lots of laughs and special characters you'll remember forever! You can see the film in 10 parts on YouTube.com, for a while anyway, so you can decide if you want to buy the DVD to put under the tree for the family to enjoy on Christmas Day. Here's a link to the first part. 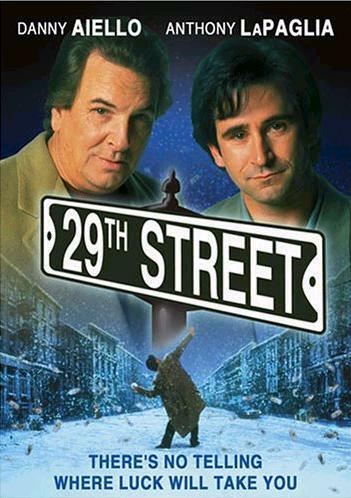 Many consider '29th Street' an Italian-American 'classic' along the lines of 'Moonstruck' or 'Betsy's Wedding', also great holiday, family films. 'The Bank' is a VERY entertaining Anthony LaPaglia film from his native Australia that is one to watch if you're not a fan of banks (and who is these days?!). Visit Italian Made Grappa to read about how it's made. Much of the flavor comes from how it's cured rather than from the variety of grape used. There are also herb and spice flavored grappas, much like flavored schnapps. Husband and Wife Actors Gia Carides and Anthony LaPaglia, click on the couple's picture if you want to go to the Official Anthony LaPaglia website (it's best to use their Sitemap to get around). 'The Garden of Redeption' is the moving story of a priest (Mr. LaPaglia), the Italian resistance, and life in Italy during the last year of the Second World War. IMDB for Garden of Redemption. 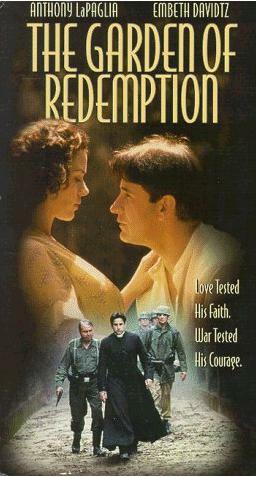 Amazon.com VHS of Garden of Redemption . Only one digestivo leaves me cold: grappa. I always associate it with old men in bars in the middle of the day, sitting around a table playing scopa, stopping only to watch, with lecherous looks in their watery eyes, the young women passing by. Before anyone gets upset, yes, there are quality grappa out there. If you click on the grappa image, you connect to the website of a quality grappa distillery. Especially in the last decade the quality of the exports has been rising. Grappa is made from the sludgy solids left over in the wine casks after fermentation, and as the quality of the grape varieties has been rising, the sludge left in the casks is of a better quality, too. Yummy. I recall, too, the line delivered by the actor Anthony LaPaglia who played the lovesick, wannabe wise-guy Stevie Dee in the 1990 film, Betsy's Wedding. Paraphrasing, he says as he offers the father of the bride, Alan Alda, a slog of grappa from his hip flask, "It's not that bad. It doesn't taste as much like benzene as most grappa." Interestingly, in the Italian version of the film, dubbed by Italian actors in Italy, the line became "It's good. My family makes it." A liberal translation, to say the least. But perhaps it's illegal to malign Italian products on the state run channel? 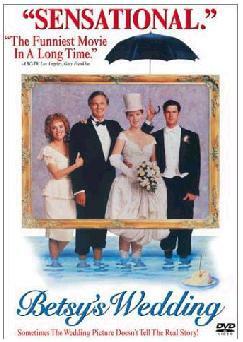 Betsy's Wedding is about a high-strung Italian-American father trying to survive his daughter's wedding. There's a very touching scene when the father imagines a conversation with his late father. They discuss their shame at being associated, through their Italian name, with mob wiseguys. 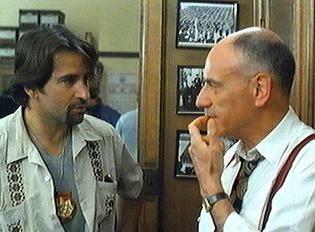 Anthony LaPaglia has played many New York, Italian-American characters during his career. And he's currently playing an Irish-American in the American TV series Without A Trace. So it's interesting to note that he is actually half Italian and half Dutch, born and reared in Australia, and is a naturalized U.S. citizen. Physically, those dark Italian genes seem to dominate the lighter Dutch ones, but from what I've read, his character is a mix of Dutch bluntness and pragmatism, and Italian artistry. Wouldn't you like to get a look at his DNA! Yes, ladies, I said DNA, and that was not a euphemism. That's his feisty Greek-Australian wife in the photos. Hands off! You may recognize Ms. Carides as the well-endowed cousin in the film My Big Fat Greek Wedding, or as Ms. Spit-Swallows from the film The Spy Who Shagged Me. Ms. Carides as Ms. Spit-Wallows in The Spy Who Shagged Me. Probably the only actress or actor in the film to successfully hold her own against Mike Myers's scenery chewing performance. It's a shame they 'killed off' her character so quickly! Or you might know her from her award-winning performance in the Australian film Brilliant Lies. And I learned my fake-Aussie accent watching her, and Angel, Georgia, Mickey, Nipper, Frog... in the Australian TV series Police Rescue. I've yet to find a site that showcases her rare talent as both a dramatic and comic actress. If you come across one, please let me know. Jonathan LaPaglia, Anthony's brother, is a successful actor in his own right. Jonathan LaPaglia's info at IMDB. 'Lantana' is LaPaglia at his depressive best. 'The Guys' is the filmed version of a play that recounts a 9/11 fire chief's work with a writer to prepare eulogies for his firefighters who died during the rescue efforts after the attack. A beautiful, tasteful film. Cathartic. And yet another unrecognized stunning performance by LaPaglia.